Har du eller en gruppe lyst til en rundvisning? Har man lyst ti at se hvordan kunstnerne arbejder ved trykpressen, kan man aftale at købe en rundvisning på værkstedet. Prisen er 40 kr. pr. person. En professionel grafiker vil demonstrere hvordan et grafisk tryk bliver til. Would you or a group of people like to get a tour of our studio? 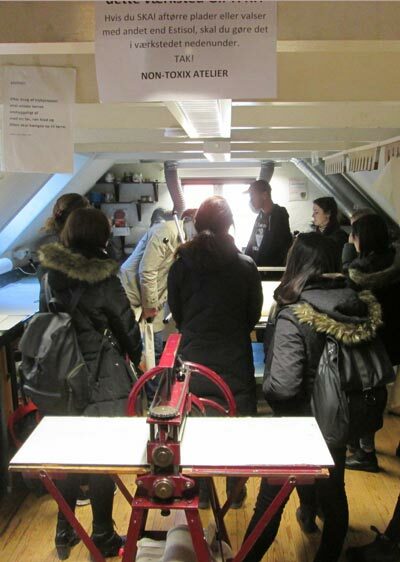 If you like to see how the artist work at the printing press, you can contact us, to buy a tour of the workshop. The price is 40 DKK a person. 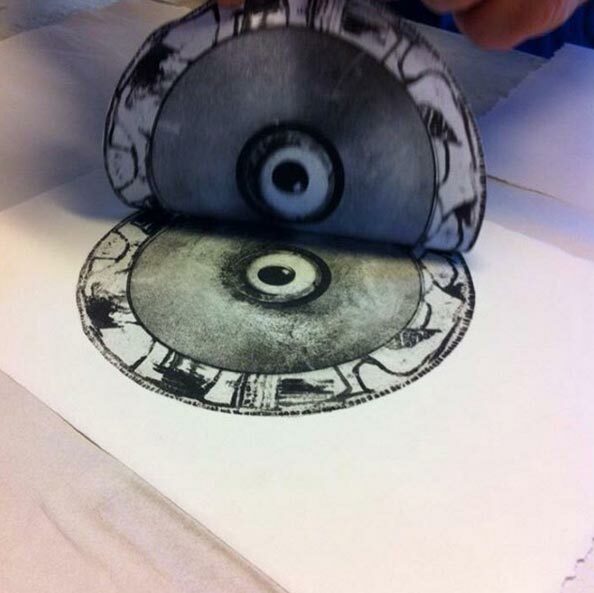 A professional printer will demonstrate how a print is made.